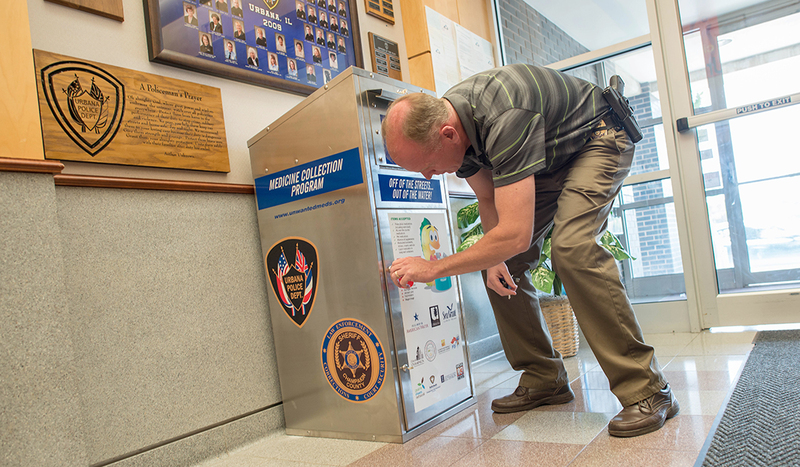 Lieutenant Robert Fitzgerald locks up the medicine take-back box in the lobby of the Urbana Police Department. Too much of a good thing wore out the old medicine take-back box at the Urbana Police Department, so it recently received an upgrade. Since the department installed the box in 2013 as part of Illinois-Indiana Sea Grant and University of Illinois Extension’s medicine take-back program, it’s only grown in popularity. This box’s new style still resembles a mailbox, but a new locking feature prevents people from forcing pharmaceuticals into an already full box. Nobody will walk off with this one either. It’s bolted to the ground. 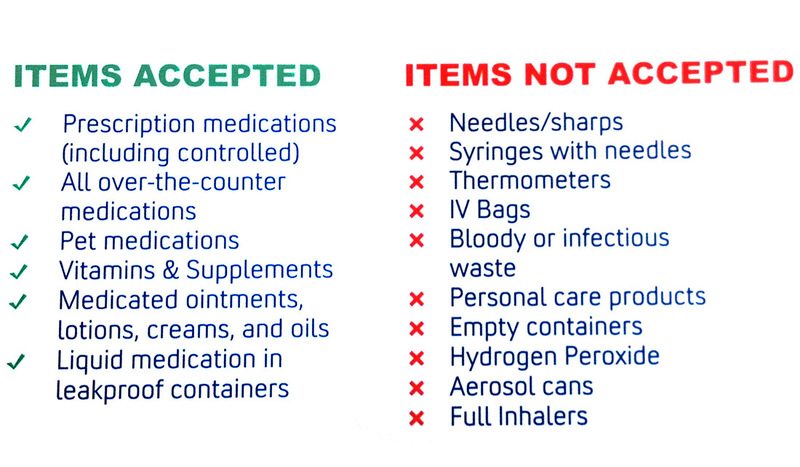 Medicine take-back programs help prevent these chemicals from being flushed or thrown in the trash, potentially contaminating local waterways. Taking in unwanted medicines is a public safety issue too. “If we can take it here in this box, it means they’re not in somebody’s grasp at home—toddlers take anything they can grab,” said Amy Anderson, Urbana animal control officer/community liaison, who manages the box. The police department, along with more than 50 locations in four states—including one in Champaign and one at the university—are designated to accept prescription and over-the-counter medicines, including veterinary pharmaceuticals, but not illicit drugs, syringes, needles or thermometers. IISG provides each location with the drug collection box and works with community partners to ensure the program’s success. All collected drugs are incinerated—the environmentally preferred disposal method.  The Champaign and Urbana medicine take-back programs started in 2013 and have collected more than 13,000 pounds of medicine. The IISG take-back program as a whole, which was established in 2007, has collected more than 58 tons. In addition, Sea Grant has helped collect over 30 tons just from helping out in single-day events throughout the Great Lakes region. 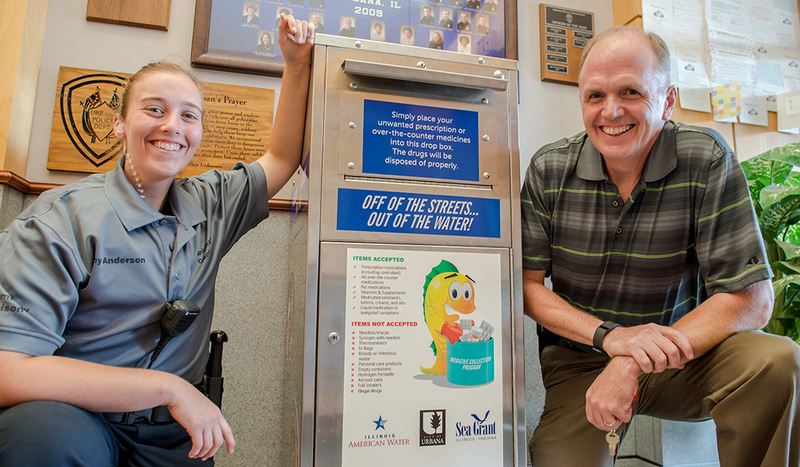 Amy Anderson, Urbana animal control officer/community liaison, (left) and Lieutenant Robert Fitzgerald pose with the new medicine take-back box in the lobby of the Urbana Police Department. Be sure to visit unwantedmeds.org to find your local take-back location.